Pictures, sounds, movies and scripts. Big deal, been there, done that I hear you say. What about other Seinfeld stuff? 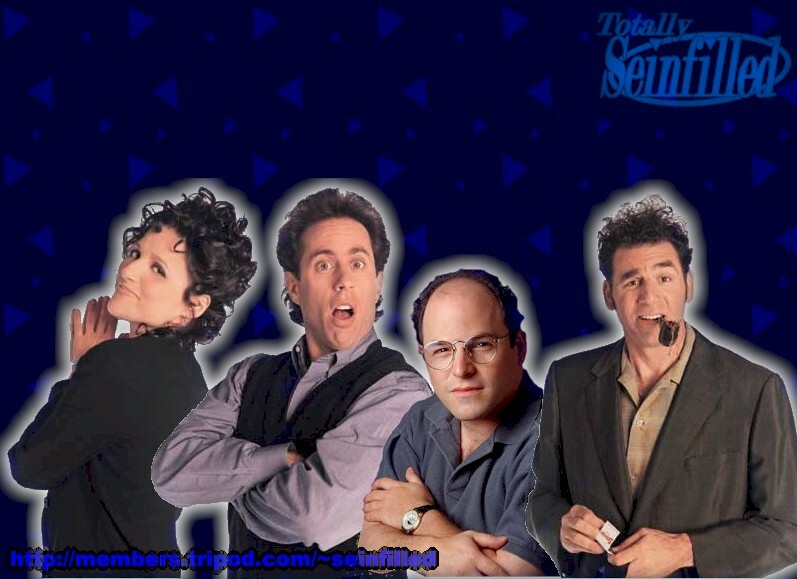 Here it is, anything that I could find relating slightly to Seinfeld, I've included in this special section. Say Farewell to your favourite show and liven up your desktop at the same time! 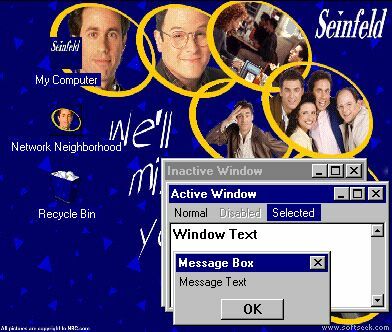 Features Icons, Sounds, Cursurs and a Jazzy Farewell Seinfeld Wallpaper. Here's the Larry David interview from April's edition of Laugh Factory magazine. Already got the other Seinfeld Wallpapers? Looking for something different...... I've created an exclusive Totally Seinfilled Wallpaper... Download it now!